Please see the below article about ash by AllAboutDogFood. Unfortunately vets only receive a few hours nutrition training funded by cereal-biased blue chip companies. If you are still concerned about the level of ash in our dry kibble, I would recommend our raw frozen or wet tinned ranges. 'Ash' is one of the most commonly misunderstood terms in pet food. 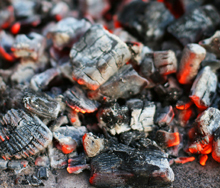 Contrary to the images it conjures, ash is simply a measure of the mineral content of a food. When calculating the food's calorific content, it is incinerated and the energy released is measured. All of the carbohydrate, fat and protein burn off leaving only the minerals. This is known as the ash content. In general, foods based on red meat meals have higher ash contents because they contain more mineral-rich bone. Dogs need a wide variety of minerals to stay fit and healthy, all of which have to be in sufficient quantities in any complete food. For this reason, for most dog owners, the mineral content of the food is fairly unimportant. Two exceptions are dogs with kidney or urinary problems, who benefit from lower ash diets, and growing puppies which need sufficient minerals for healthy bone development. Iron: Integral part of haemoglobin and myoglobin; energy metabolism; enzymes in respiration. Selenium: Important in the immune system and protection against oxidisation. My dog isn't a working dog, can I feed Akela to my pet dog?